This has to be one of the cutest owls on the planet. They are little and round like fat toads. And they live in the ground, in the abandoned holes of other burrowing creatures. 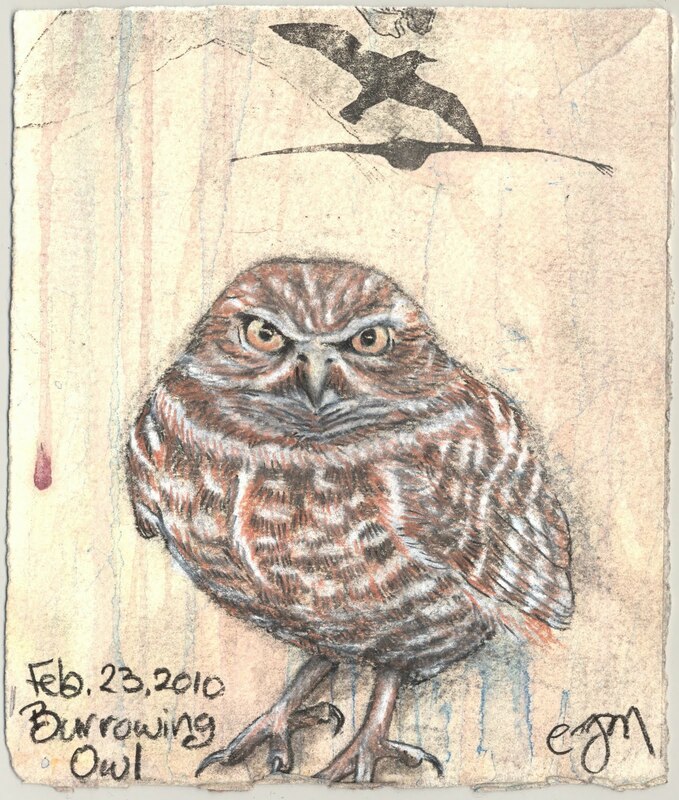 Seasonally, burrowing owls make their homes in the Bay Area. They are a protected species, so when they come to the Berkeley marina, the groundspeople put up fences to keep visitors from disturbing them. I've never seen one in person, because they are very shy. But I'd like to see them. Aren't they cute?